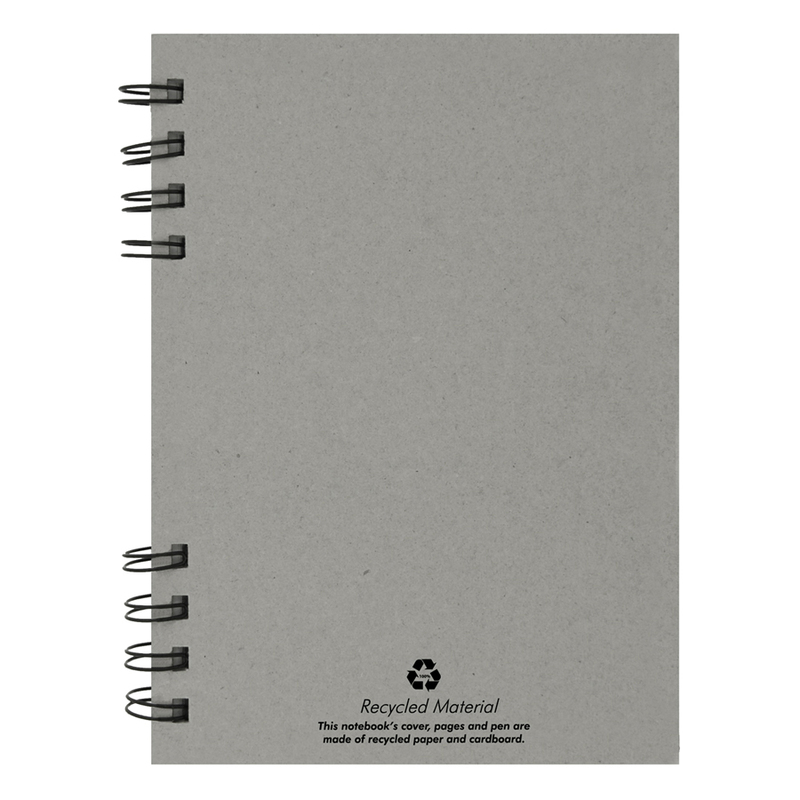 Help remember your life's journeys or jot down daily activities with our recycled journal book! 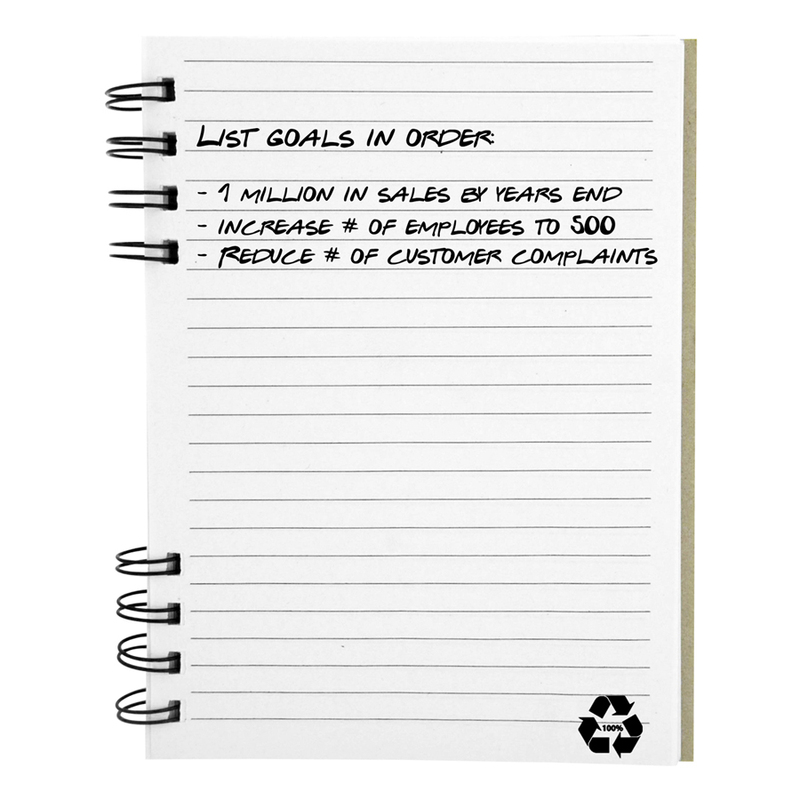 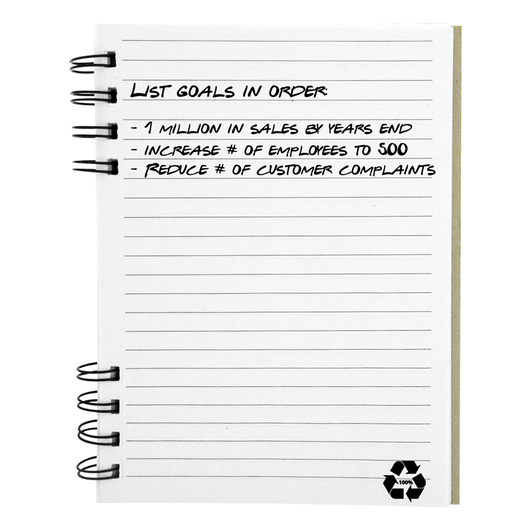 Made from high-quality recycled materials and comes with a blank black ink pen that is also made from recycled paper. 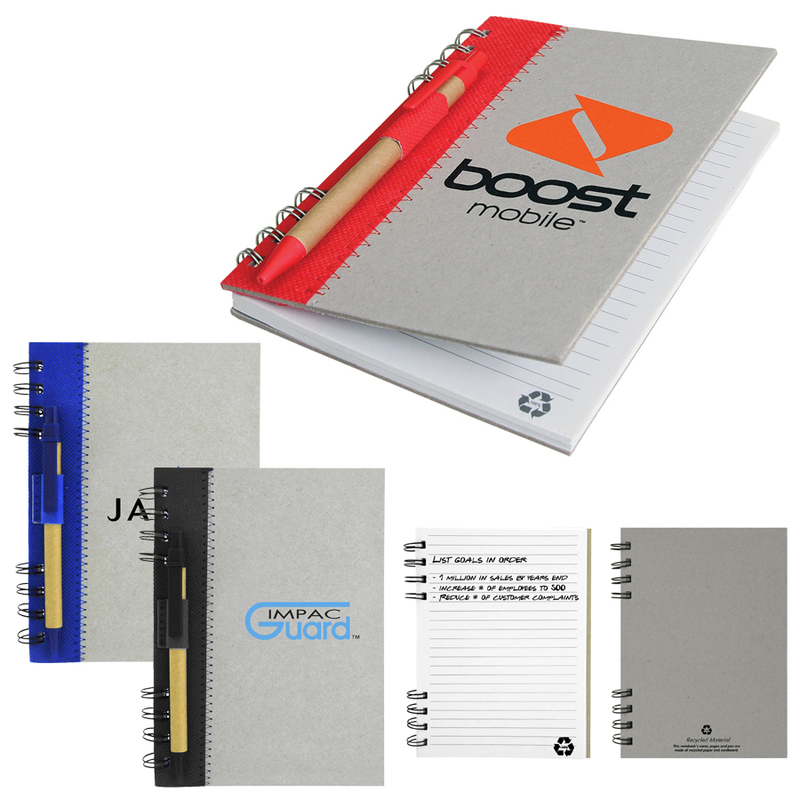 If you are the type who appreciates putting pen to paper, then you already have an idea of how to use this remarkable recycled journal book. 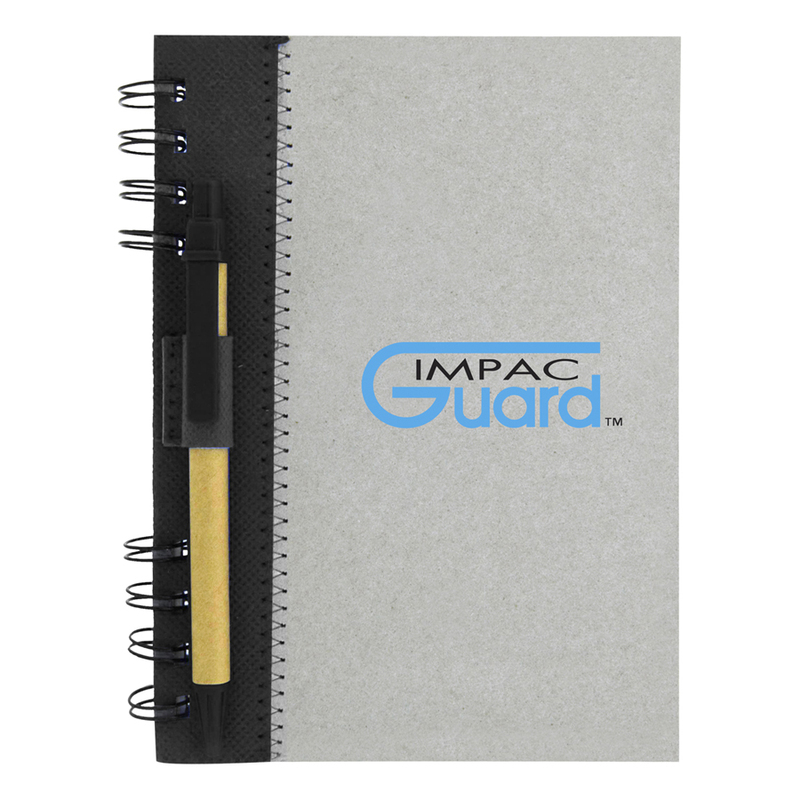 It comes with an extra heavy duty cardboard cover made from recycled paper, the colour stripe is made from recyclable nonwoven material and has 70 pages of recycled lined paper. 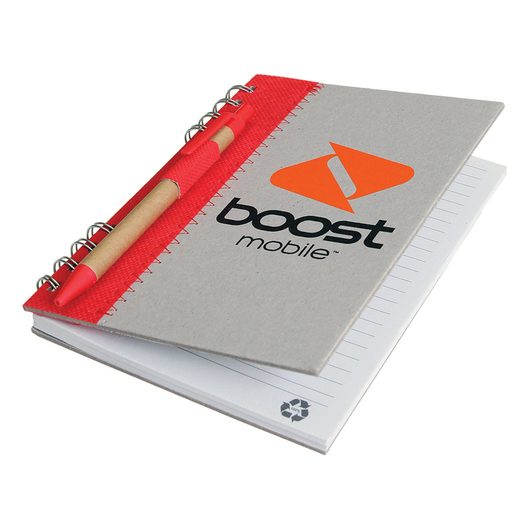 Other features include a blank black ink pen made from recycled paper and a metal ring binding. 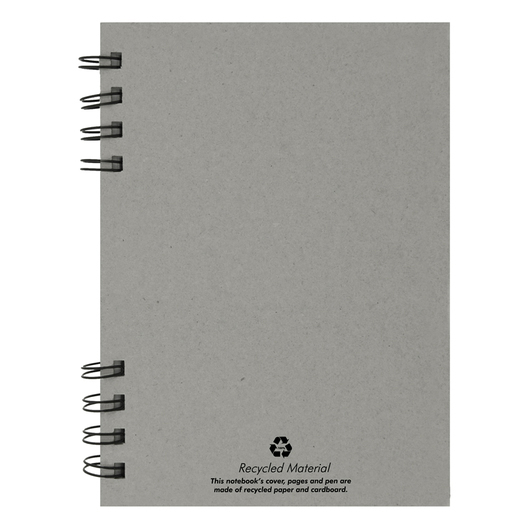 The back cover and each page feature the recycled logo.